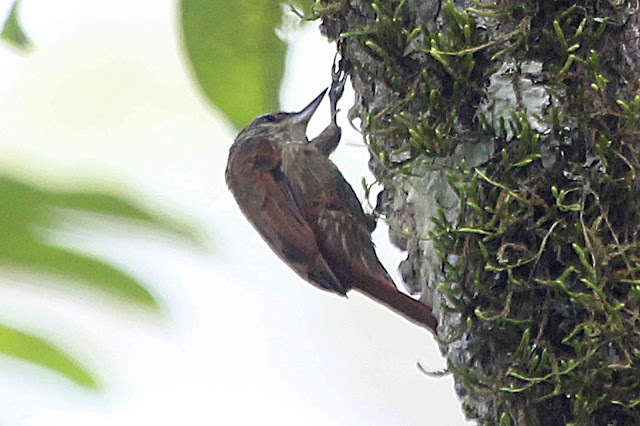 As a follow-up to Darién's "Xenornis" report of Streaked Xenops possibly nesting at the río Mono bridge in February, we had good looks at one at the same place on August 19. Despite difficult light, we got some photos that show well the colour and streaking on the lower parts, but not so well those on the upper parts. 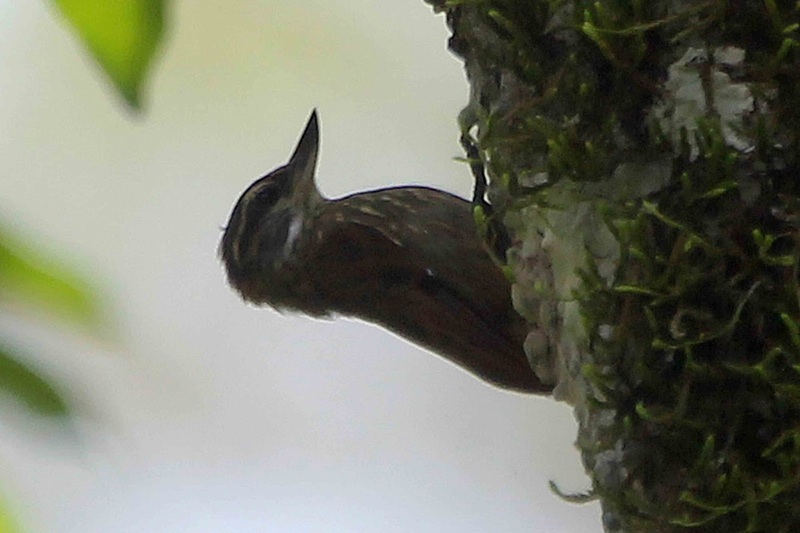 However, it appears that the streaking on the upper parts is pretty much confined to the neck and shoulders, and does not continue down the upper back as in some races. Dave might be able to elaborate more on that. 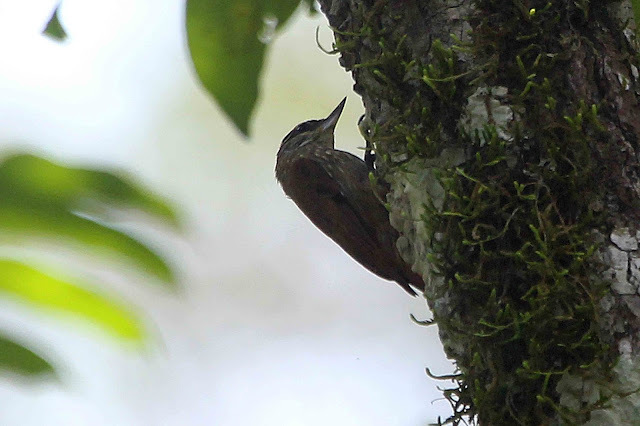 Are we assuming that these birds are the incomptus race described by Wetmore from Cerro Pirre? I cannot find an illustration of that race anywhere, but the description fits pretty well. 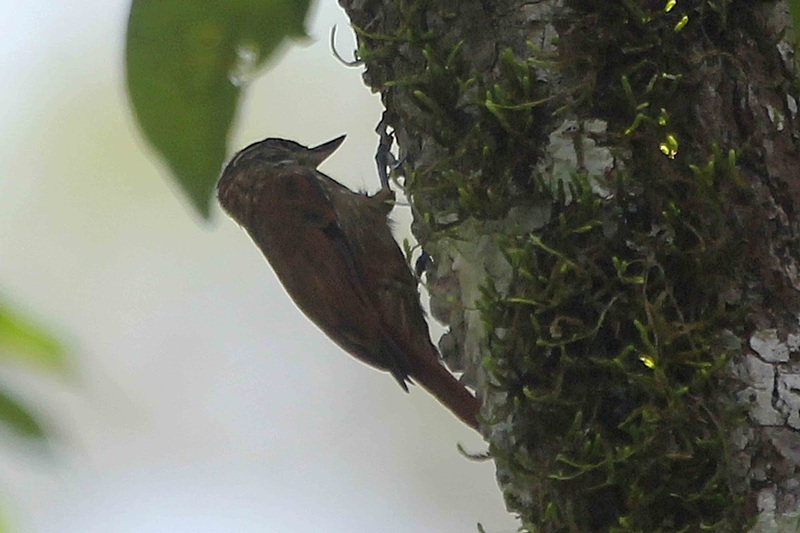 In Restall's Birds of Northern South America there is an illustrtion of hetererus of eastern Colombia which is quite similar to the Bayano bird. Thanks for the photos Bill. 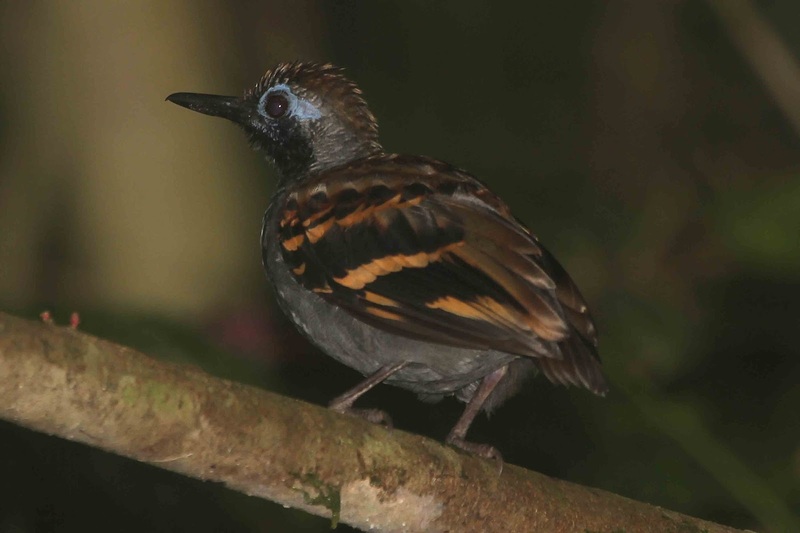 The streaking on the back goes from the crown through only the upper mantle, which is consistent with the illustration in Handbook of the Birds of The World, although they illustrate a different race, as well as Birds of Ecuador (the Columbian guide has no picture). They also list incomptus as strictly Cerro Pirre. But this seems more ikely than the septentrionalis race of Costa Rica and western Panama. Hey, maybe a new race- ha! 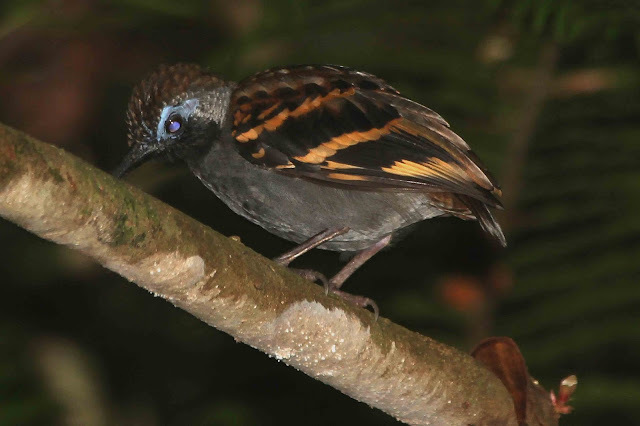 I also enclose two photos of one of 4 Wing-banded Antbirds found at the San Francisco Reserve, Tortí on August 18.